The 2015 AmericanMuscle Car Show is Coming Soon! 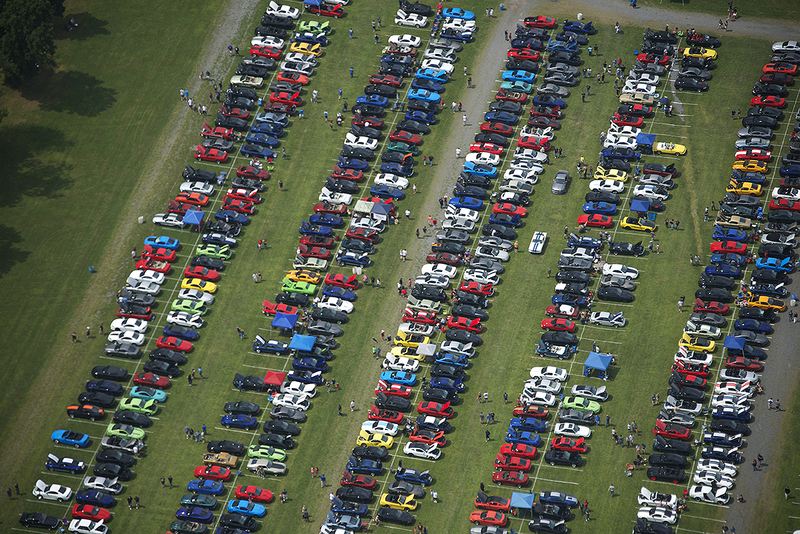 The 2015 AmericanMuscle Car show is set to be held on August 15th (rain date August 16th) and it is quickly approaching! Last years show attracted more than 2,500 Mustangs and over 10,000 people and helped to raise an astounding $35,502 for charity. This year’s show is slated to be our biggest and most charitable yet! The show will be held once again at Maple Grove Raceway which is located in scenic Mohnton, Pennsylvania. Attendees can expect a great mix of vendors, raffle prizes, a silent auction tent, scratch and dent sale, and same day parts pick-ups for orders placed at the show! Throughout the day there will be exhibition drag races, a dyno competition, muffler revving contest, and a burnout contest. There will also be some special guests in attendance like professional drifter Vaughn Gittin Jr as well as legendary hot rod designer Chip Foose. Chip Foose will be once again giving away a car at our car show, similar to last year. Except this year Chip is giving away the MMD by Foose Mustang to one lucky winner! As always, the AmericanMuscle Car Show is not just about enjoying Mustangs or the community of people that own them, but it is also about charity. This years show proceeds will benefit Make-A-Wish and there will be a special surprise for a Make-A-Wish candidate. We can’t wait for this year’s show and look forward to seeing everyone at it. If you haven’t already, make sure to register before July 31st by clicking here!